Brian Hughes is Professor of Psychology at the National University of Ireland, Galway. He is the author of Psychology in Crisis (2018, Palgrave), Rethinking Psychology: Good Science, Bad Science, Pseudoscience (2016, Palgrave), and Conceptual and Historical Issues in Psychology (2012, Prentice-Hall), as well as over 100 academic journal articles and chapters. He is a noted authority on psychophysiology and stress psychology, and served as President of the international Stress and Anxiety Research Society from 2014 to 2016. He also served as President of the Psychological Society of Ireland in 2004/2005, and in 2015 was admitted to Fellowship of the PSI. His work on cardiovascular responses to mental stress has been extensively cited, and he was invited to compile the entry on blood pressure stress reactivity for Springer’s Encyclopedia of Behavioral Medicine (2013). He has delivered keynote/plenary lectures on stress psychology to a number of international conferences, including in Ireland (2014), Israel (2015), the UK (2015), Croatia (2016), and India (2016). He has also written extensively on the status of science in psychology. His study guide Conceptual and Historical Issues in Psychology has been a steady seller, at one point reaching the top 5 in Amazon’s ‘History of Psychology & Psychiatry’ list. 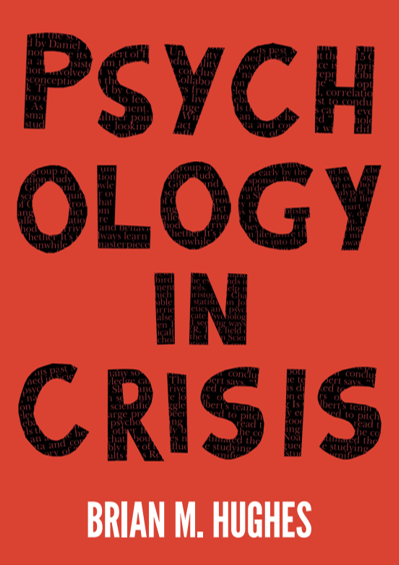 His latest book Psychology in Crisis appears in August 2018. As well as publishing several high-impact journal articles on related topics, he was invited to contribute the entry on complementary psychological therapies for Wiley’s Encyclopedia of Clinical Psychology (2015). He has wide-ranging media experience. He has written articles for national newspapers such as the Irish Times and Irish Independent, has been a contributor to radio documentaries and talk shows on science, psychology, and philosophy, and has been interviewed on several topics for outlets such as the Financial Times, the Irish Times, RTE, Today FM, and Newstalk FM. His science blog has been featured in pieces appearing in Slate online and the Guardian Higher Education Network. As well as his post at the National University of Ireland, Galway, he has held visiting academic positions at King’s College London, Leiden University, the University of Birmingham, and the University of Missouri.